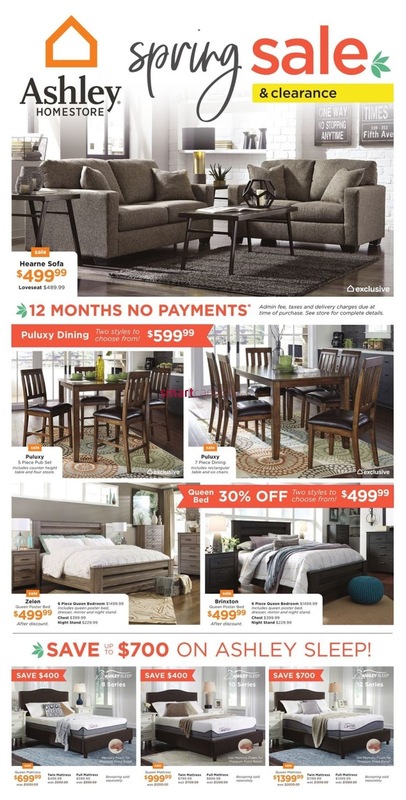 Ashley HomeStore Canada Flyer March 22 - April 4, 2018 - PUluxy dining two style to choose from $599.99 PUluxy 5 Piece Pub Set Includes counter height table and four stools. PUluxy 7 Piece Dining Includes rectangular table and six chairs queen bed 30% off two style to choose from $499.99. 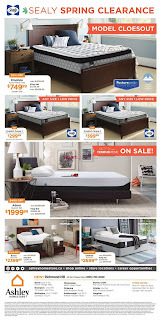 sale Zelen Queen Poster Bed $499.99 After discount. 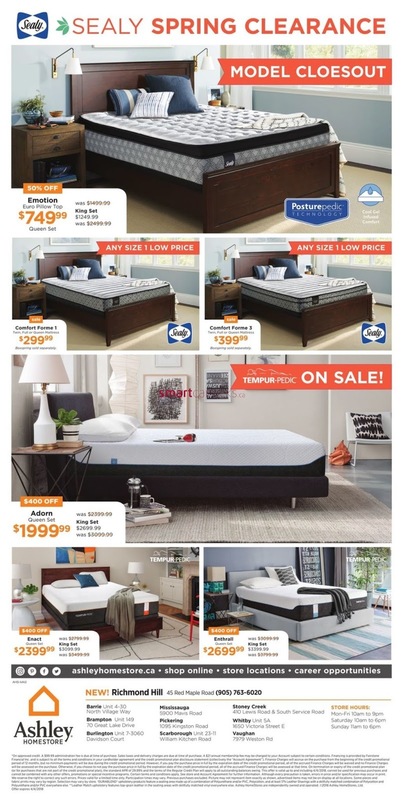 Model Cloesout 50% OFF Emotion Euro Pillow Top $749.99 Queen Set was $4499.99 King Set $1249.99 was $2499.99. ANY SIZE 1 LOW PRICE Sale Comfort Forme 1 Tram. FuN Oe Gunn flattens $299.99 Box spring sold separately. ANY SIZE 1 LOW PRICE Comfort Forme 3 twin, Full Or Queen Mattress $399.99 Box spring sold separately. 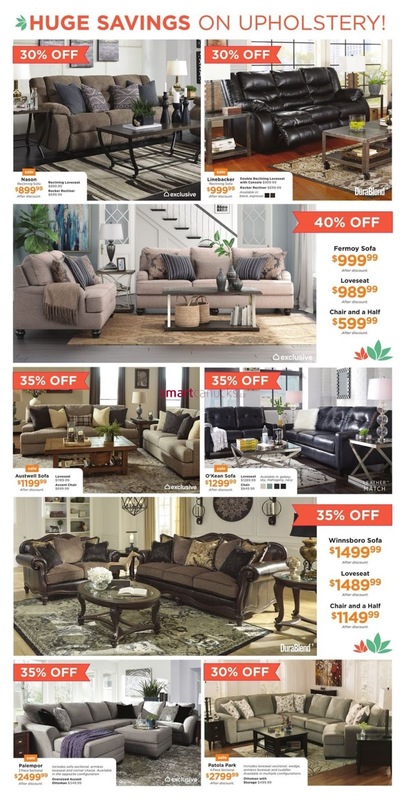 $400 OFF Adorn Queen Set $1999.99 was $2399.99 King Set $2699.99 was $3099.99. $400 OFF Enact Queen Set $2399.99 was $2799.99 King Set $3099.99 was $3499.99. 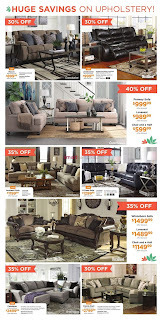 $400 OFF Enthrall Queen Set $2699.99 was $3099 99 King Set $3399.99 was $3799.99. Palempor 3 piece selectional $2499.99 After discount, includes sofa sectional, armless loveseat and corner chaise Available in the opposite cconfiguration oversized Accent Ottoman $349.99. Sale Patola Park 4 Piece selectional $2799.99 After discount, includes loveseat sectional, wedge armless loveseat and cuddier, Available in multiple configuration Ottoman wait Storage $499.99.